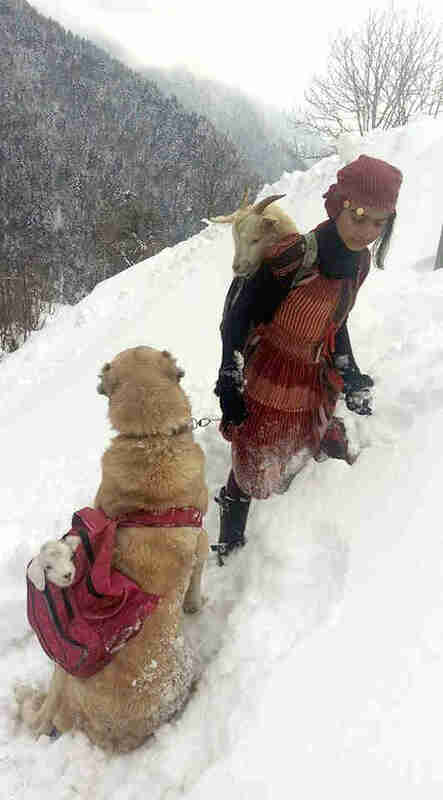 That's the baby goat in the dog's backpack! 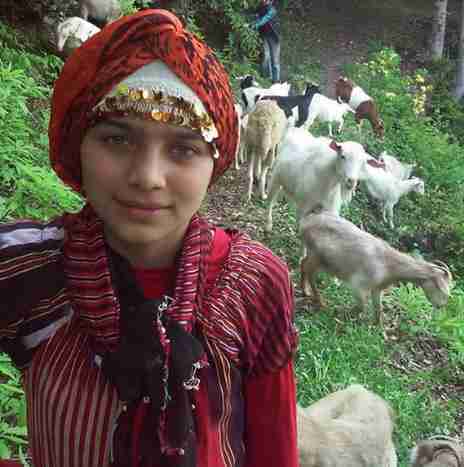 This is 11-year-old Hamdü Sena Bilgin. 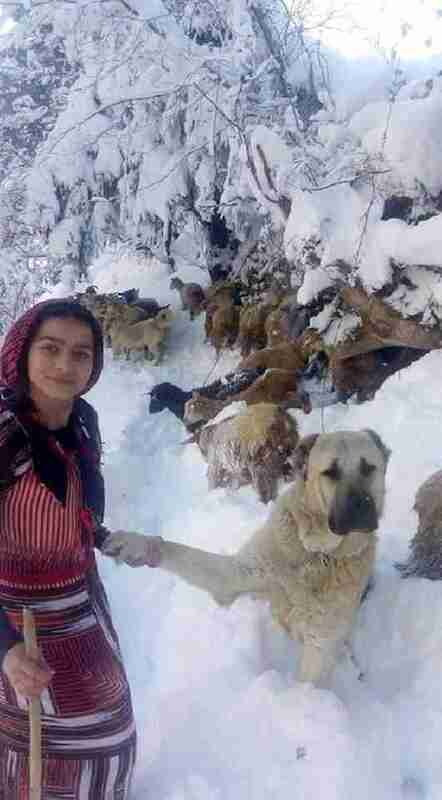 She lives in a small village outside the city of Rize, in Turkey. Hamdü Sena and her family operate a small farm, where they raise goats for their milk. She serves as goatherd, the animals' protector and guide. 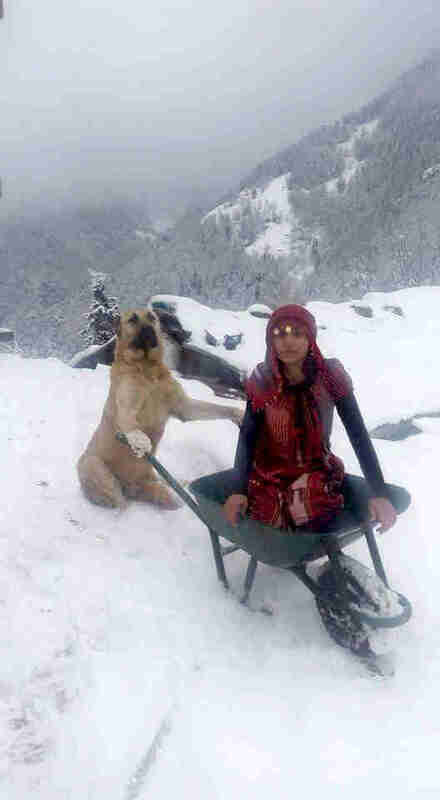 Her dog, Tomi, is always by her side to help, even during the cold winter months. 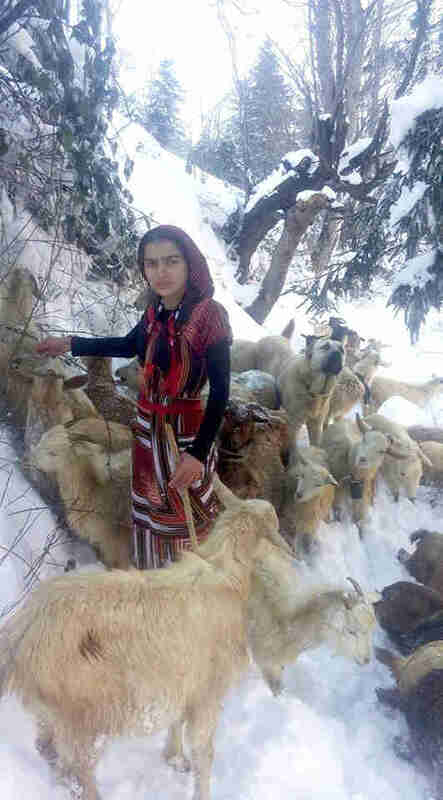 Recently, while Hamdü Sena and her loyal pup were tending to goats grazing on a snowy hillside far from home, one of them suddenly went into labor. Fearing that the goat, and her soon-to-be-arriving baby, would be too weak to make it back on their own, the young goatherd sprang into action. "After the goat gave birth, I led the rest of the herd back to their shelter," Hamdü Sena told The Dodo. "Then I grabbed two backpacks from the house and went back to the goat and her baby with Tomi." Although the backpacks are normally filled with books and school supplies, on this day, their cargo would be far more precious indeed. 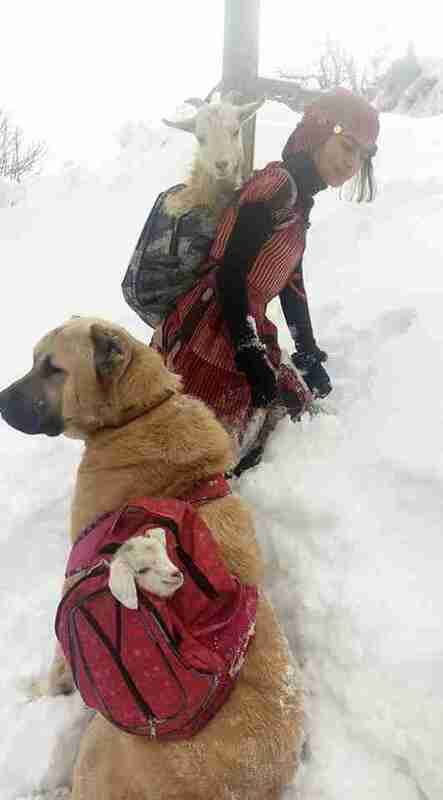 Once back at the spot, Hamdü Sena loaded the mother goat into her backpack, and put the fragile baby into the other. Tomi carried her. "He's a good dog," Hamdü Sena said. "Very smart." Together, they slogged through the steep, wintery terrain to bring the new family to safety. 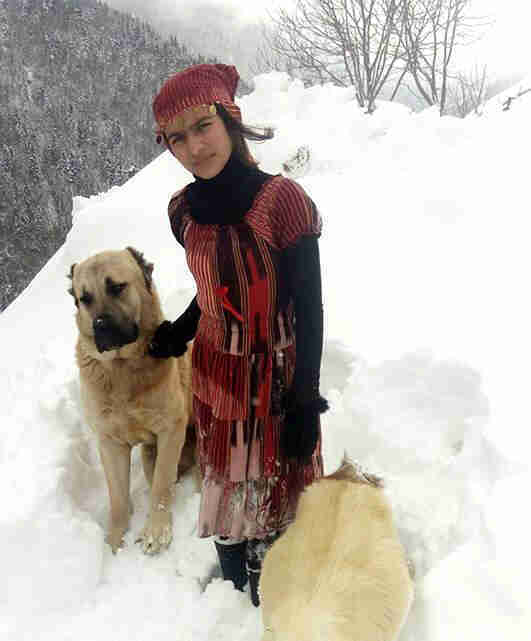 "The snow was so thick, I was exhausted," said Hamdü Sena. "But it was worth it." She was joined near the end of the trek by her brother, who captured photos of the rescue in action. Thanks to Hamdü Sena and Tomi's dedication to the animals they tend, the mother goat and her baby are now both safe and sound. But while the heroic 11-year-old might consider it her duty to the herd to protect them all from harm, she's receiving an outpouring of appreciation online, where her story has gone viral. ... and we need only look to Tomi and her herd to know that animals love her, too.